Be inspired by the possibilities of creating, creativity and technology in education. During the Fablearn Conference and on the fair you will find makers, artists, inventors, workshops, international speakers, master classes and expert sessions. FabLearn is for everyone from education, policy and science to get acquainted with creative education, to get hands-on to work and to exchange experiences. Go home with a dose of new knowledge and inspiration! 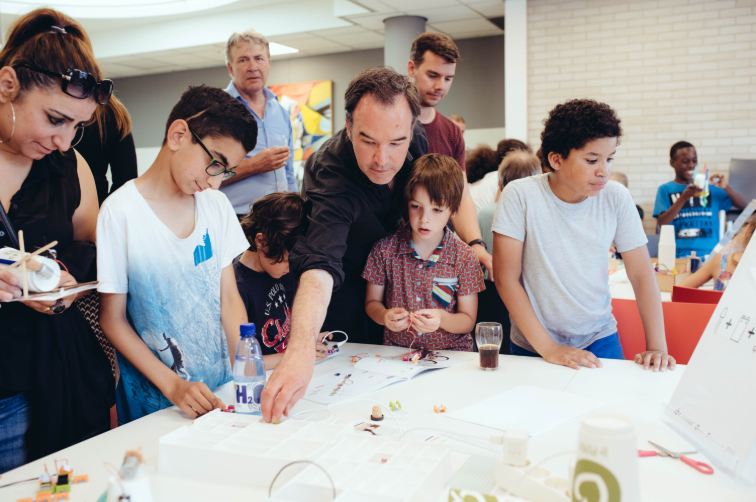 Check out which creators, innovators and speakers from the creative arts are present during the first Dutch FabLearn education conference. Your ticket also gives you access to the Eindhoven Maker Faire on Saturday 29 and Sunday 30 September!